Voici vous trouverez ce que notre clients disent au sujet des produits et services de PresentationLoad. Notre objectif est la complète satisfaction du client. Pour nous votre avis est important. Communiquez-nous vos éloges et vos critiques à helpdesk[@]presentationload.com. I absolutely love your product. I'm constantly redesigning PowerPoint presentations for my company's clients and your product has given me so many great ideas on the use of charts, layouts, etc... I really think the templates are a valuable asset to my job. I very much like to use your templates because - well structured and competently visualizing strategic topics as they are - they supply the ideal basis for my own thoughts. Great praise for your new Flat Design templates. Excellent selection of choices within your templates. I particularly like the opportunity to change all aspects of these templates, like the background, as well as the text, and being able to move things around. We are very satisfied with PresentationLoad and have always found suitable presentations so far. I have been pursuing an idea for five months and on your website I finally found the suitable representation. 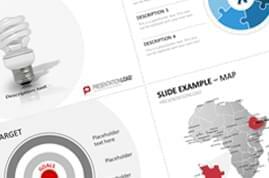 The templates of PresentationLoad helped me to save a great amount of time in preparing professional looking slides for internal as well as external presentations. I found particularly useful that the various slides are prepared in a matching style that allows me to combine template packages as required. I appreciate the services of PresentationLoad very much. I will gladly recommend your company. Extremely fast and competent support with initial - self-induced - problems. Many thanks. So far everything went really well - many thanks. To depict facts in a way that makes it easy for the audience to conceive and understand the subject swiftly is a challenge. With templates from PresentationLoad, though, that's no problem. 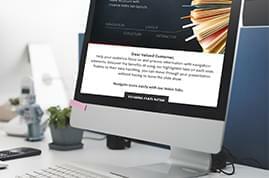 A very aesthetic and professional template, with which presenting is great fun, and with which you can illustrate your results unerringly, straight to the point. Can you let the team know that I love your products and to keep up the good work! The templates are simply great. Therefore I just tasked your agency with creating a new template for me! I am an absolute fan of your presentations, as you can see in my purchase order history. 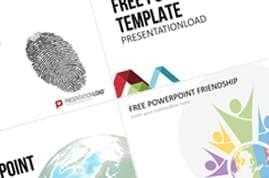 I have created an endless number of presentations in my 20 years as executive assistant and have a passion for PowerPoint (professionally and privately). When I found your website by chance I was very delighted. Although I really like to create my own templates and to tinker with them for hours, your highly professional templates save an immeasurable amount of time when it's urgent. I'm also very impressed with the simple and fast order processing and access to your presentations, let alone the large assortment. With templates from PresentationLoad, complex facts can be rehashed optimally and presented professionally in a short amount of time. Quite often decisions concerning consulting engagements are made in favor of our company thanks to these templates. In addition, the download platform provides a quick and specific search function as well as a swift and easy transmission of the selected templates. All around a well-made service. In the past weeks and months I got to know and appreciate your presentations, and gladly use them. Thank you very much for your terrific work! Deutsches Institut fÃ¼r angewandte Pflegeforschung e.V. I like the products. Small point, however. I think you want to continually improve, especially if you are a nine Sigma devotee. It would be nice if the improvement was consistent, but getting better is most likely achieved continually; over time. Great products. I've been an IT consultant for a decade, and experienced in making presentations. Fair often I face a need of finding proper styles and symbol set for a particular subject area. This is the first case to me so my dreams can come true. I have never met such excellent product and services so far. Your designs are demanding, and fascinate me a lot. Thank you for this wonderful portfolio and for the samples provided free. Take my congratulation! Keep up this nice road! Wishing further success for year 2010. By now our business presentations are no longer conceivable without the graphics of PresentationLoad. Your help and service is highly appreciated. I can ensure you that I plan on buying further product from your company. Your presentation samples are perfect, save a lot of time and help us to present our ideas in a few minutes. Thank you very much for all these, im a teacher here in the Philippines, a clinical instructor, im teaching nursing lectures for level III nursing students, and im glad i found your site, im looking for beautiful, stunning and amazing sites where i can have free PowerPoint template to download but to no avail, not until i found your site to which im very glad and happy, im using the old, plain and boring templates for my lectures and my students are getting bored, i can no longer hold their attention to focus especially that nursing subjects is quite hard, the anatomy and microbiology and the medical surgical nursing topics needs a lot of animations and simulations, this freebie is very much well appreciated and i really want to thank you for this great favor, goodluck and more power, some site for templates are very expensive, it'll cost me thousands of pesos here in the philippines, i really can;t afford that's why im searching and im glad i found you, thanks very much and more power, and yap im very excited and very much willing to receive updates, newsletter and more freebies soon, all that will enhance my PowerPoint lectures, thanks again and God Bless! Mabuhay from the Philippines. For the last 2 years, PresentationLoad has been the only company I have gone to for my PP graphics and will be the only company I go to in the future. The staff at PresentationLoad has consistently delivered quality products for my business presentations at affordable prices. I rely on them to help me deliver a professional and polished look to all of my presentations. Hands down, the staff are the best in the PowerPoint design business. You can see the love for detail and you really need only half the time for your presentations! We are very happy with the diagrams and maps that we purchased. The files are a great time saver and providing inspiration and a basis to build on. Keep up the good work. I am more than satisfied. Unconditionally recommendable! As my recent purchases attest, I am very impressed with your collection of PowerPoint shapes and slides. They are useful both as tools for the presentations themselves as well as helping to develop ideas of how information should be presented in the first place. Keep up the great work - they're worth every penny. Very impressive designs. Not only do they have a quality product but they will also help with questions. Thanks for the support - it is really great, I recommend it to all busy "business" people. The diagrams from PresentationLoad are simply the best. I am creating PowerPoint presentations for 10 years now as a consultant. They have provided some of the most professional designs I have ever seen in PowerPoint. I've purchased your templates for about 2 months ago. Now these are some of the greatest tools I have on hand, all templates are very functional and help to inspire my ideas! 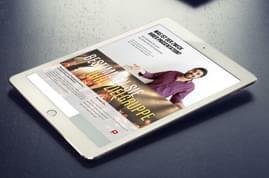 Developed by talented designers and proven in their work to create stunning presentations! First class service and a very broad and professional looking variety of graphics and templates. Your templates are functionally and easy to use for almost everybody! They added a professional look to my PowerPoint presentations. So glad I came across your site. These Diagrams and Templates are real time savers. I really appreciate it! It's a great help for me to use when I'm creating PowerPoint presentations for my company. 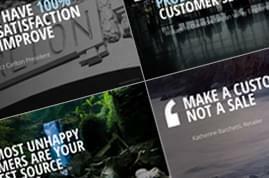 I think PresentationLoad offers a great quality at a fair price. I have used some diagrams for our corporate presentation and saved hours of time to get done. These guys know what servicing the customer is all about! They provided timely responses to my requests for custom designs and delivered beyond my expectations. I was completely satisfied with their quality of service. My presentations are much more compelling and are communicating my messages more clearly because of the graphics provided by PresentationLoad. The selection of products is mind boggling. I almost don't know where to start. My presentations will all be drastically improved UI's with such quality PowerPoint diagrams. Good quality products at a justifiable price... with so many PowerPoint designers pricing themselves out of the market its good to see presentation load providing excellent themed sets at acceptable prices. We like the wide selection of PowerPoint graphics available from PresentationLoad. We've used them for years and continue to develop new presentations using their new sets. Thanks, your products have grown my career greatly! People know instantly when I've been involved in creating a presentation and they often feature a lot of fundamentals from your templates. Very good product. I am thrilled!